Depart BMS 7:15 - Bring Snacks for bus! 7:00 am Breakfast @ Neptunes - Have bags packed and ready to go! ﻿Monday﻿ we will participate in Philosophical Chairs. Thursday and Friday we will prepare ourselves. Please read the entire post before clicking any links. 1. Under the DREAM Act, specifically the Consideration of Deferred Action for Childhood Arrivals Process most students who came to the U.S. at age 15 or younger at least five years before the date of the bill’s enactment and who have maintained good moral character since entering the U.S. would qualify for conditional permanent resident status upon acceptance to college, graduation from a U.S. high school, or being awarded a GED in the U.S. Students would not qualify for this relief if they had committed crimes, were a security risk, or were inadmissible or removable on certain other grounds. 2. Please log into Newsela and read the article "Living in a homeland she barely knows after returning to Mexico." 3. 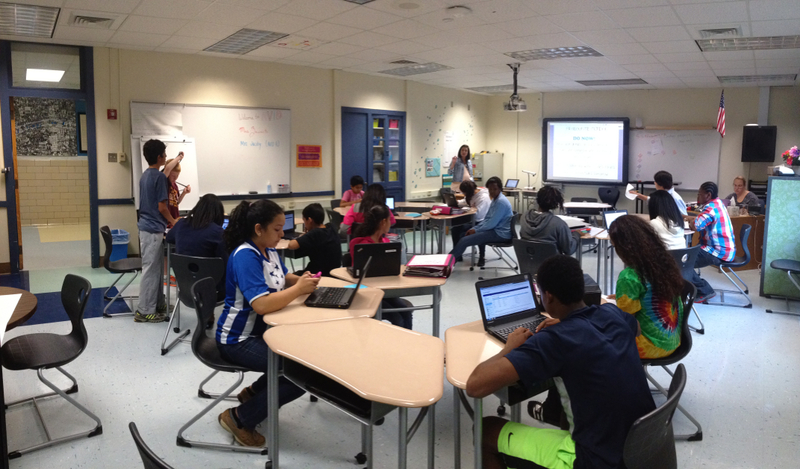 After reading the Newsela article, please check out this link from the Department of US Immigration and Citizenship. There is even a video that you can view to learn more about the process. 4. Next read two opposing viewpoints. One is for the Dream Act and one is against. Use these to gather information! You should be taking notes on the attached graphic organizer! I support the Dream Act. - Which side of this issue are you on? Why? In tutorial this week a positive experience I had was taking notes on everyone's TRF who went, and trying to guide them to the answer/question with other people in my group, help from our tutors, Mr.Mullinex, and Mr.Mercer. Something that was challenging for me was asking 2 or more questions for each presenter without saying the answer. Also when I or someone else is confused we kind of just sat there in silence waiting for someone to say something. In my tutorial I had to distribute and combine my like terms in my math problem, So my problem got a little messy and tangled but my group helped me get out of it, and led me to get my answer by asking me questions and pointing out stuff. My goal for tutorial this upcoming week is to be more engaged in asking questions and being more open to ask and speak up if I have a question. This week during tutorial, a positive experience I had was taking my notes and paying attention to the presenter. Something that challenged me was asking at least two questions for each person that went. When I presented my TRF, after finding my answer I realized I thought to hard on the question, and understood afterwards how I had gotten it. My goal for next time is to ask each person that presents at least two questions. 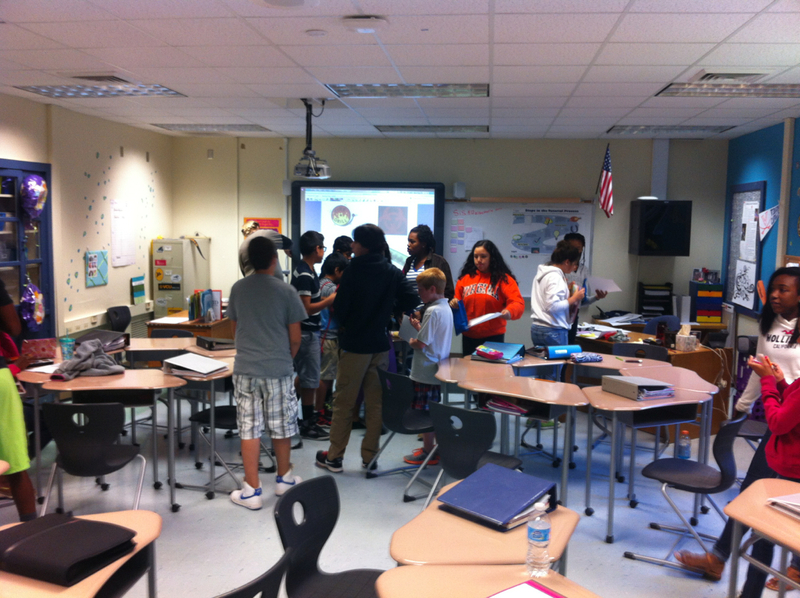 This week in AVID we did tutorials for the first time of the school year. When others were up I did not ask any questions, on Tuesday. But on Thursday I asked atleast 2 questions per person that presented. In tutorial I think I did a good job because I took notes and was on task. Some challenges I had were trying to ask questions for each person. Also not telling the person the answer or what they should do next. A positive experience I had was that completed my tutorial. By thinking about the questions that my group members asked me. And getting the correct answer to my question, and understand in how I got to my answer. When ever you have a question in a Cornell note you use that to make a TRF (Tutorial Request Form). We watched a video on how to do our Cornell notes and transform them into TRF's. When ever you have a question in a Cornell notes you make a TRF for it and bring it in on tuesday and get it solved. A TRF can come from homework, tests, or quizzes. If you have a question make it into a TRF and get. 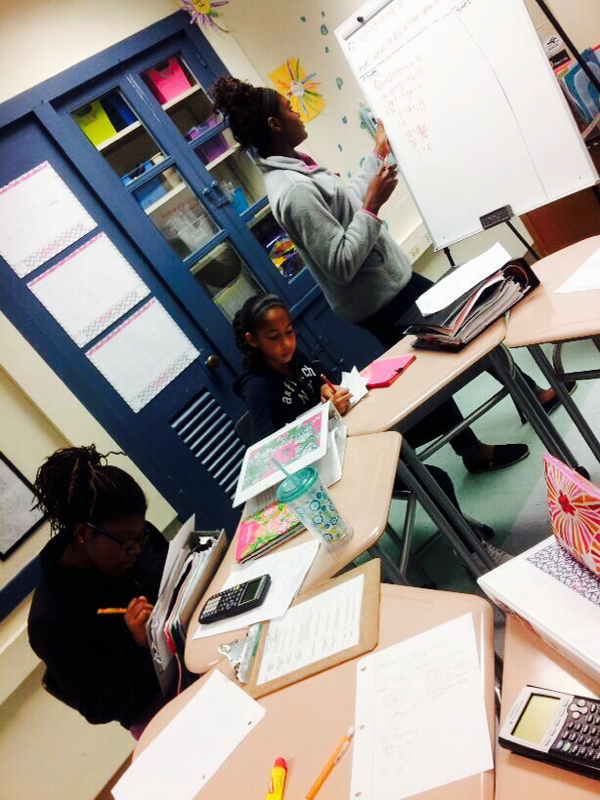 This week we have been doing tutorials like last year but this year we're starting off with Mrs. Jacoby giving us a made problem by her.We are also doing it in groups and using the big boards . My Favorited problem was the one that you had to make ten only using 4 marks when there was already 5. In AVID this week we learned how to write Cornell notes. Doing Cornell notes it was hard because after you did the notes you had to write questions and a summary. That was a challenge for me because sometimes I couldn't come up with a question. At the end I did it though, It's difficult but it makes you a better note taker. 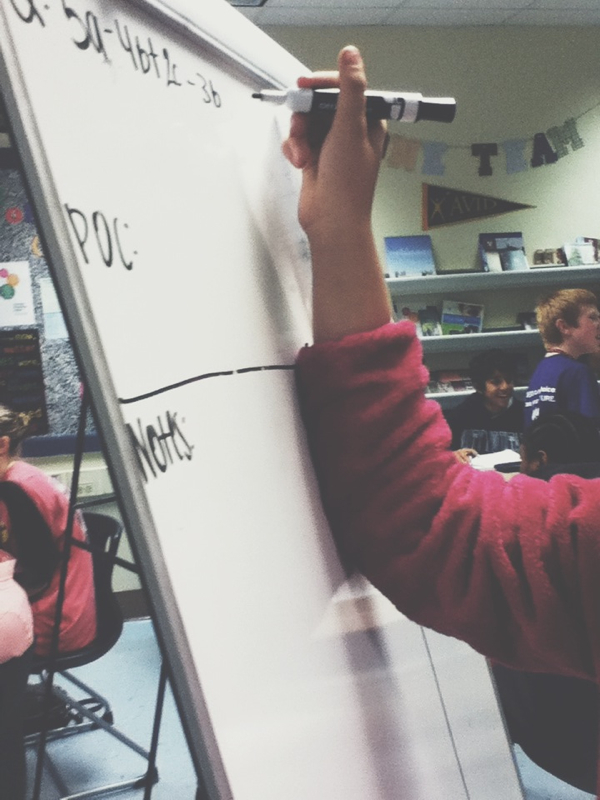 Cornell notes helps you being more organized and understanding more about the subject that your learning about. Cornell Notes also help you as a studying tool that's why I really like it. It looks very organized and it's also a challenge, we're all up for new challenges everyday! This is a picture of our AVID class we're learning all about how to take Cornell Notes! 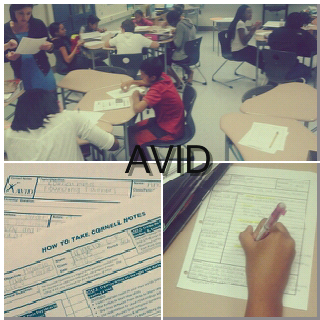 This week of AVID we are learning how to do full and perfect cornell notes. A positive thing that happend to me is that is positive is that it is going to help me be organized during classes. And a negetive thing is that it i to much work and i might get distracted in class. And my goal is to compleat my first cornell note perfectly. Check out our online journal for the year!